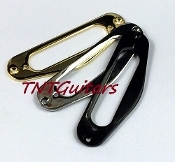 Humbucker Mounting Rings: Set of 2 mounting rings with 8 screws. Flat Bottom. 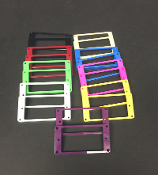 1 Bridge Mounting Ring + 1 Neck Mounting Ring.